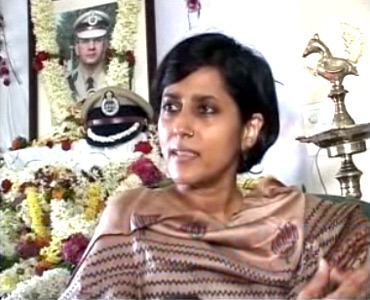 In the last three years, Vinita Kamte has mourned the loss of her husband -- slain top cop Ashok Kamte. She has also found herself struggling to clear the air surrounding her husband's death at the hands of Pakistani terrorists on 26/11, reports Gauri Ghadi. Why is Kasab still alive? Why has he still not been hanged? These are questions Arjun Kamte, 11, often asks his mother Vinita. Arjun's father Ashok Kamte, additional commissioner of police, Mumbai East, was gunned down by terrorists near Cama Hospital on November 26, 2008. Three years on, the wife of the slain officer has no answers to questions that have been debated time and again since the carnage wreaked havoc in Mumbai. All she can do is try to handle the situation with tact. "The children (Rahul, 18, and Arjun) are at a very crucial age. I do not want to encourage negative sentiments in them. While Rahul prefers not to speak about his father's killer, Arjun often asks why Kasab has not been punished," she says. While Vinita thinks it is important that her children do not harbour any bitter feelings, she also feels that it is high time justice is delivered. Referring to the Supreme Court order that stayed the death sentence of Ajmal Kasab, the lone terrorist arrested alive that night, Vinita, a lawyer by training, says, "I understand that a process has to be followed, but we need a quick justice system that people can put their faith in. In cases like the Mumbai attack, the judiciary needs to work within a time-frame. This is the need of the hour." 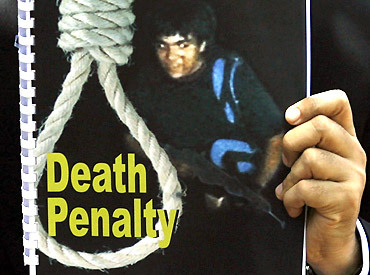 "By not hanging Kasab, we are sending out a very bad message. We can't show the world that we are weak," she adds. The last three years have been difficult for her -- to say the least -- and full of emotional upheavals. While she mourned the loss of her husband, who she believed died a hero's death, she found herself struggling to clear the air surrounding her husband's death. Through the Right to Information Act and after talking to senior police officers, she painstakingly put Ashok Kamte's life and sacrifices in a proper perspective in a book titled To The Last Bullet. 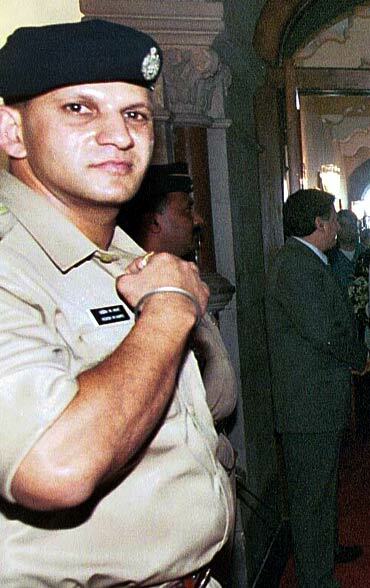 "I wanted Ashok and the other officers to get their due. It was important for me to know if he fought back because he would often say, 'I will hate to go down without a fight'. I know what it meant for him to hit back and I was told that he shot at Kasab," she says. 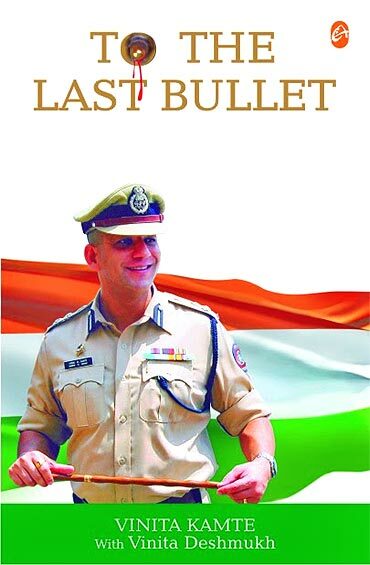 The book became a subject of much controversy after Vinita criticised Rakesh Maria, the then joint commissioner of police, for concealing the truth behind her husband's death. "I just wanted to tell the truth, that's all," she says. For all the fight that Vinita put up, she was felicitated as the best RTI citizen earlier this year. "Despite being a part of the system, I faced many odds while seeking answers about my husband's death and the RTI award came as an honour. It was a reward for our struggle for the truth," she says proudly. But today, Vinita says she wants to steer clear of all controversy and focus on her children. "The last few years have been draining. Now, I want to give as much time as I can to my children and help pursue their dreams," Vinita says. On how she envisages her children's future, she says, "I will always encourage them to join the IPS like their father, but there is no pressure. Arjun wants to become a cricketer and Rahul is in Std 12. For now, I make sure he concentrates on his studies". Apart from her sons, Vinita says she would like to take some time out for a trust she has set up in her husband's name to help families of needy policemen. "Last year, the trust was registered and by next year, I hope this project takes off. I have put aside funds, but the process of getting such a body started is time consuming. However, I have been helping families of policemen in my own little way," she says.